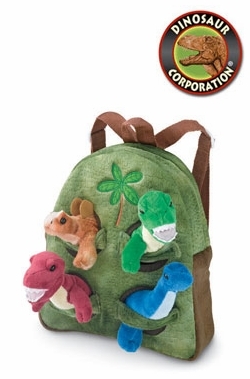 Dinosaur plush backpack with baby dinosaur buddies. 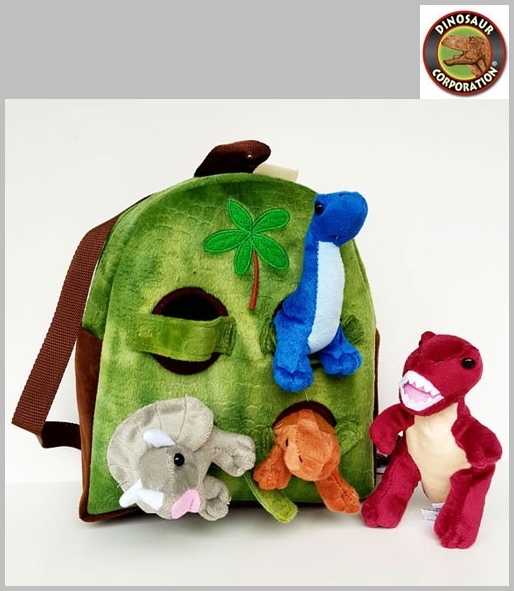 Four dino plush toys T-rex, Triceratops, Stegosaurus and Brachiosaurus are tucked into the pockets. They are also removable to enjoy them for play. Small dinosaur plush toys are made with delicate handcraft care. These small dinosaur stuffed figures are a collection of incredible softness and hug ability.